Need to Upgrade a Failed or Faded Tattoo? You have a tattoo made years ago, and now it is not the piece of art it was back then. The ink has faded, or maybe you got a poor execution, it is an outdated design, or you have tattoo regret. 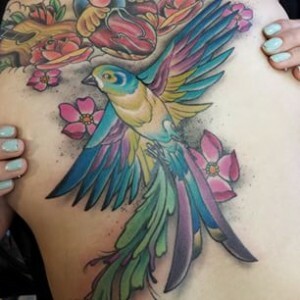 Whichever the reason, your new professional tattoo artist has the challenge of eradicating all signs of the original tattoo by integrating it into a newer design that will please you. If you want to turn that old tattoo into something you like, you can’t always get touch-ups. But, before you go into the studio, here are some things you need to know before getting a tattoo cover-up. If you are lucky enough, your previous tattoo can be restored to a proper version of the original plan. However, often a tattoo can only be updated through cover-ups, and you may be limited in the design options, and it cannot always be your dream tattoo. Blacks, blues, and browns are the colors that best mask pre-existing tattoos. Bright colors like reds, oranges, and yellows can sometimes fail to conceal previous ink if it is too dark. When covering a previous tattoo, the new one is always going to be bigger. A larger tattoo masking the existing one gives you more freedom in the styles, size, placement, and design changes you can have. Don’t be surprised if your tattoo parlor suggests making the new art twice as large as the original one. Finding the right tattooist is paramount to the success of your cover-up. 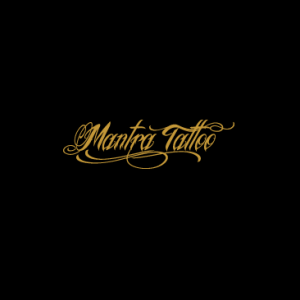 The talented tattoo artists from Mantra Tattoo Shop will rework your tattoo with an awesome cover-up! Every cover-up tattoo is a personalized custom fitted piece. So if you are interested in a tattoo cover-up in Denver, please contact Mantra Tattoo for more details. Please note that we’ll be closed for Christmas!